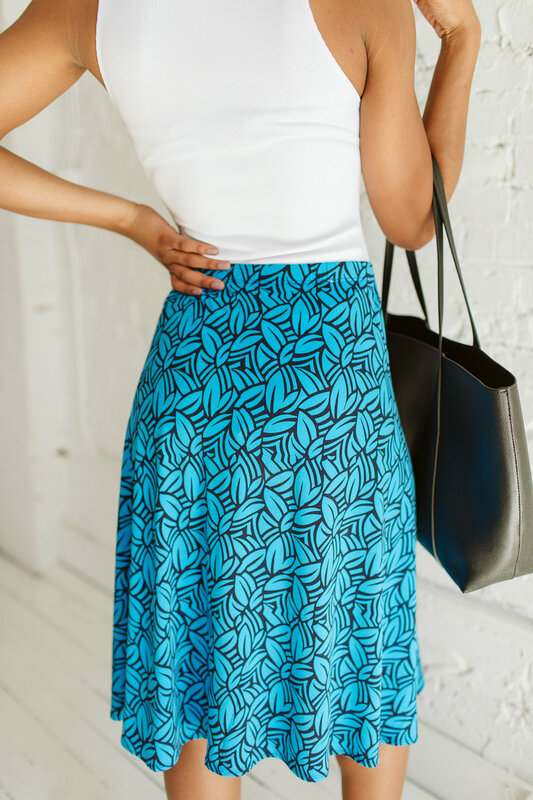 A great skirt for business casual occasions. 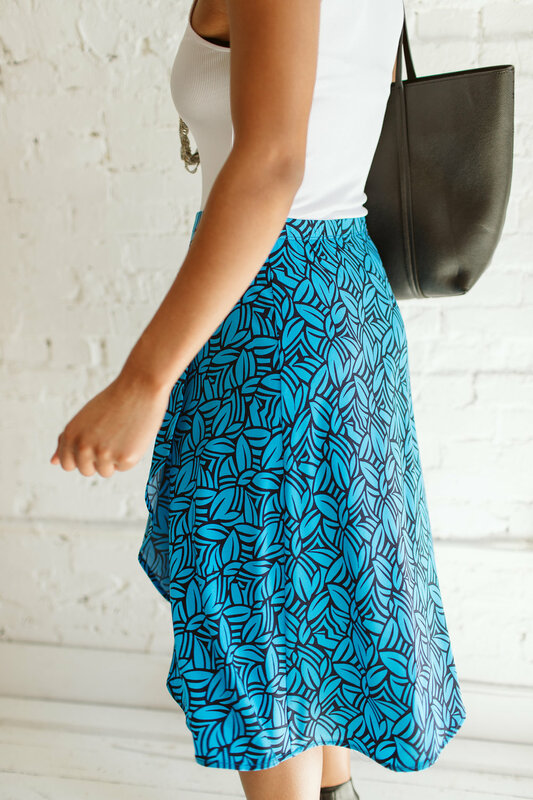 It's super stretchy, very lightweight, and definitely comfortable. Elexus is wearing a Small.